If you have bees living in the walls or roof of your barn or house, use the search feature on our Swarm Removal page to find the closest beekeeper to your location that offers "Removal" or "Cutout" services. Most beekeepers charge to do cutouts as we call them. If you are in our area we will be happy to come out look at your situation. 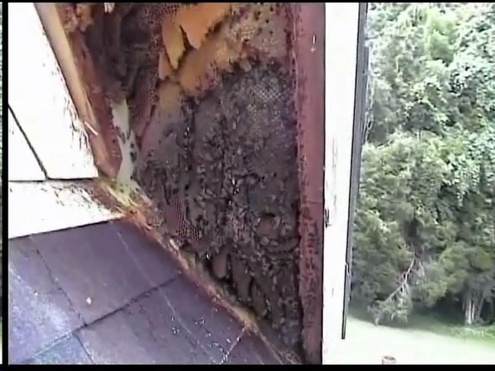 If we can remove the hive we will do the removal for free.